While Gilmore Girls might’ve easily captured the hearts of multigenerational viewers during its original run between 2000 and 2007 and in the years since, the one demographic it never fully charmed with its quick wit and colorful small-town shenanigans was the awards-show overlords. With the show’s revival just days away from premiering on Netflix, we decided to revisit the major award nominations and wins the Stars Hollow gang received during its tenure. Alas, just like Rory and Marty’s romance, it’s a pretty short history. The only Golden Globes nomination the show ever received was for Lauren Graham, who was nominated for Best Actress in a Leading Role – Drama Series in 2001. She lost to Jennifer Garner for her work on Alias. The show was nominated for Favorite Television Drama in 2005, but lost to CSI: Crime Scene Investigation. Lauren Graham received consecutive nominations in 2000 and 2001 for Outstanding Actress in a Leading Role – Drama Series, but lost to Allison Janney for The West Wing in both instances. The Institute awarded Gilmore Girls with TV Program of the Year in 2003. The show racked up numerous Satellite Award nominations, although it never took home a win. Lauren Graham was nominated for Best Actress in a Leading Role – Musical or Comedy Series consecutively in 2001, 2002, 2003, 2004, and 2005; Alexis Bledel was nominated for Best Actress in a Leading Role – Musical or Comedy Series in 2002; Kelly Bishop was nominated for Best Actress in a Supporting Role – Musical or Comedy Series in 2002 and 2004; and the show was nominated for Best Series – Musical or Comedy in 2002 and 2004. 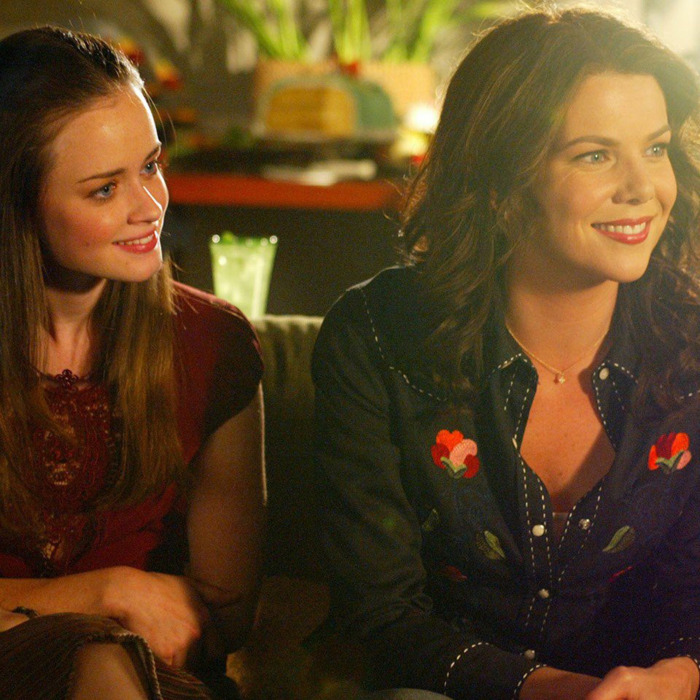 The teens sure loved Gilmore Girls, with the show a staple in the nomination list between 2001 and 2006. Alexis Bledel received five nominations for Choice Actress, where she originally was submitted as Choice Actress – Drama before changing to Choice Actress – Comedy in 2004. She won the honor in both 2004 and 2005. Keiko Agena was nominated for Choice TV Sidekick for her portrayal of Lane Kim in 2001, 2002, and 2003, although she never won. In 2002, Jared Padalecki was nominated for Choice Actor – Drama for his role of Dean Forrester; while in 2005, Matt Czuchry was nominated for Choice Breakout Performance – Male for his portrayal of Logan Huntzberger. In 2005 and 2006, Bledel and Czuchry were nominated for Choice Chemistry. The show’s resident momma also got some major love, with Lauren Graham nominated for Choice Parental Unit in 2005 and 2006, winning both times. Lastly, the show itself was nominated for Choice Drama in 2001 and 2002 before switching categories to Choice Comedy in 2003 through 2006. It won the top honor once, in 2005.